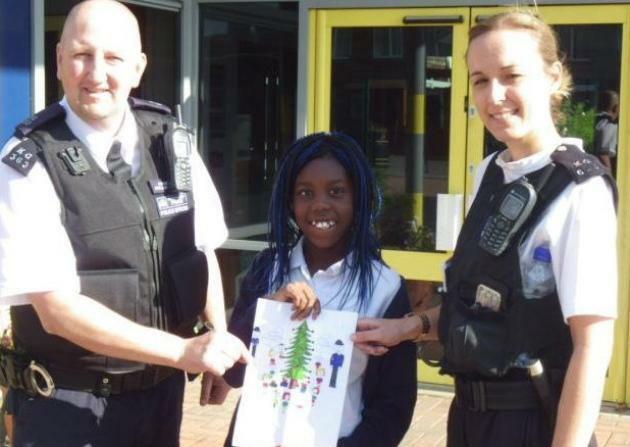 This years winner of the 'Design a Poster' for the Met Xmas Tree Campaign was Rosabelle in year 5. The Campaign has now been launched with the aim to provide presents to children in care across London who may not receive a present at Xmas. In Barking & Dagenham there are currently 351 children in care ranging in age from 0 to 17. You will be asked to submit your details and will then receive an email which will have the gender and age of the child you have been allocated. You will also be given a reference number which you will need to attach to you present. Please note that presents must be new & unused, and suitable for the age of the child you have been given. They should also not be battery operated or food items. Gift vouchers also accepted. The suggested maximum spend is £20. Once your gift has been purchased it can be handed into the front office at Barking or Dagenham police station or any other Metropolitan police station front office. Please ensure the gift is unwrapped and has your reference number attached to it. If you prefer to donate money to the appeal (this will be used to buy a present) you can do so via the link below. Please ensure in the comments section you name the borough you would like your donation to go to (i.e. Barking and Dagenham).